Along with servicing all of the Phoenix metro area, Green Planet Carpet Care is an ideal eco-friendly carpet cleaning service for Anthem, Arizona. We know our customers in Anthem, AZ are concerned about the effects of dangerous cleaning agents on their children and pets and so are we. The health and safety of you, your family, and your pets is our number one priority. We never use dangerous or non eco-friendly carpet cleaners-ever! We use biodegradable eco-friendly organic natural cleaning solutions. We thoroughly clean the carpet fibers with our powerful truck mounted carpet cleaning machine that delivers steaming hot water to your carpet at temperatures up to 260 degrees Fahrenheit which helps eliminate even more germs and bacteria, so your kids and pets can roll around on it without any fear of an irritating chemical exposure. We are Cleaner, Healthier, and Better! We believe in using organic "green" carpet cleaning products only, and only where necessary, use natural enzymes and spotting agents with your permission in order to contribute to a healthier home environment. Homes with pets that are chemical-sensitive such as dogs, cats, and tropical birds also benefit immensely from cleaning processes that are safe and environmentally friendly. 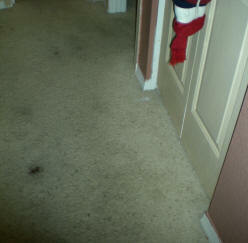 The pictures below show how effective our eco-friendly carpet cleaning is without the need for dangerous chemicals. 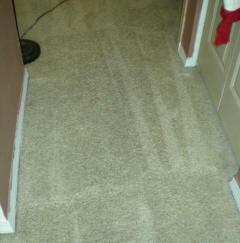 Our carpet cleaning Anthem, AZ service is the finest there is. We would like the opportunity to show you what we can do to help improve your home environment. 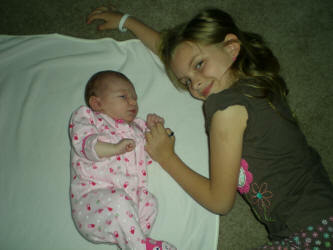 Click here for more information about how we Professionally Clean Your Carpets. Schedule an appointment and see the difference! Green Planet Carpet Care is by far the most qualified and reputable carpet cleaning service company in the Greater Phoenix, Arizona metro area. We also service Anthem AZ, Ahwatukee, Avondale, Buckeye, Carefree, Cave Creek, Chandler, El Mirage, Fountain Hills, Gilbert, Glendale AZ, Goodyear, Litchfield Park, Mesa, New River, Paradise Valley, Peoria AZ, Phoenix, Scottsdale, North Scottsdale, Sun City, Sun City West, Sun Lakes, Surprise, Tempe, Youngtown.